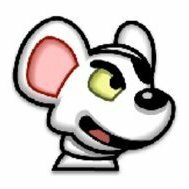 I saw those third party websites when I recently obtained my licence online. Thankfully I avoided them and paid my £20 (OAP rate) to the Government. This sort of thing should be outlawed! Yup, this is how it happens. People need to be aware of it, so it's worth spreading the word. Facebook, Twitter, whatever. It's a really mean-spirited thing to make money out of. I have mine direct debit every year...it just arrives. yep my mate fell for the same . Google must have changed the search, the .gov website is the first to appear on my google. 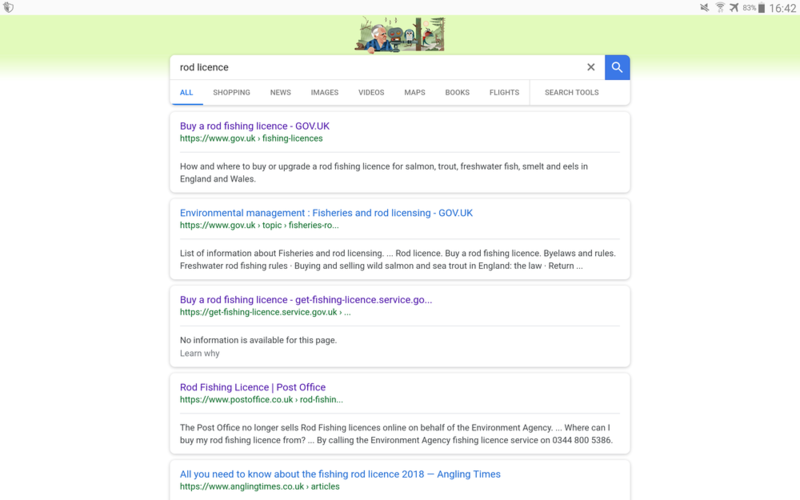 And rod licence .co .uk doesn't even appear. Oops!! Last time I got one I went to Post office, might well have gone on line next time as p/o isn't there now, bunch of...... Viking king knut. They do the same thing with passports, Visas and E111 forms. did mine at the post office. 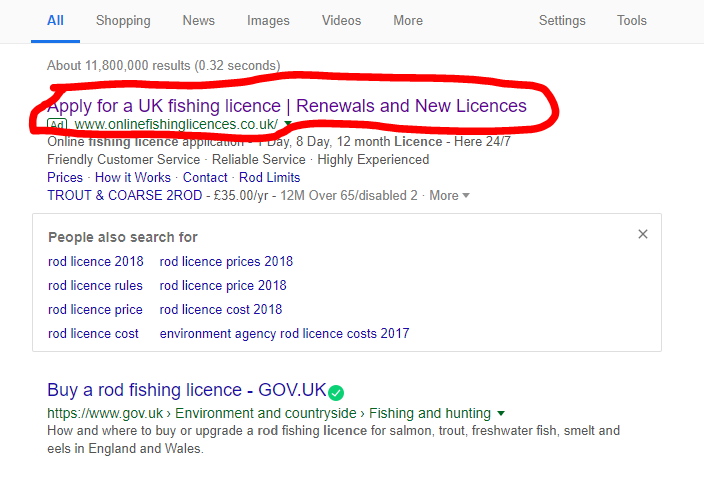 It's now 'www.onlinefishinglicences.co.uk' and they're still charging £45 for the senior. Mine is an android app called 'Add blocker for Samsung browser' and it acts as a browser extension. Not sure about other platforms. nearly did that myself on Friday, near same situation not been for a few years, but I noticed the GOV UK site below. yep - best mate fell for it too.